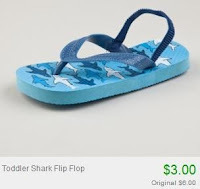 $3 Kids' Sandal Sale + 10% Off or Free Shipping! 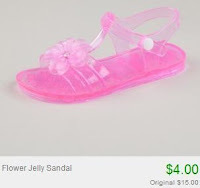 Totsy is having an awesome kids' sandal sale where all are priced $3.00-$4.50! There's quite a few different styles to choose from (flip flops, sandals, etc) for boys and girls. If this is your first Totsy order, you'll get free shipping! If you're not a new Totsy customer, you can use the code couponcabin to take 10% off your order.